Starting the Journey toward Cultural Responsiveness. Please visit www.virtuosoed.com for more information on how we can help you and your organization on this Journey. 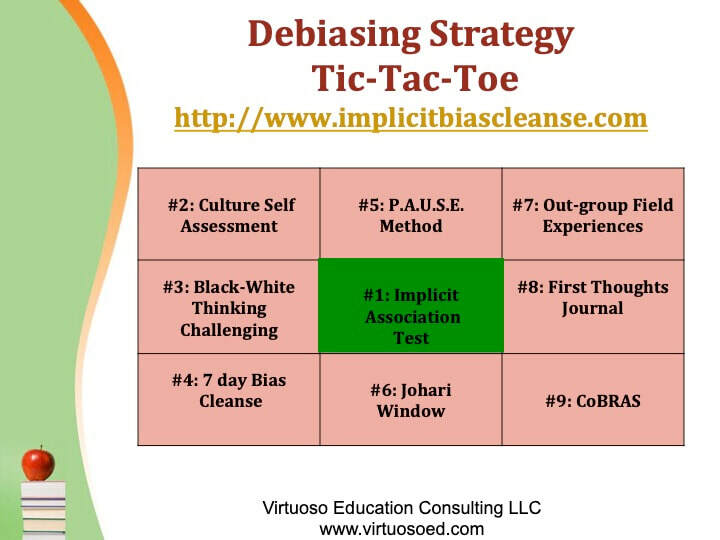 Use the Reflection Journal document to help you process your experiences with the debiasing activities you complete. The files below correspond to the 9 debiasing activities listed above and are listed in numerical order ( 1-9).